So, hey, sorry for the crappy recap last week. I can promise you this one will be just as bad, if not worse. See...Mr Minx and I went to a wine dinner last night, one that didn't actually start serving food until 7:30, and by the time we finished our dessert and got our drunk asses home, it was 10:25. Missed the Quickfire and the whole gist of the Elimination Challenge. And did I mention it was a wine dinner? And that I might have been a little drunk? That was probably a good thing, as the alcohol took the edge off the cold hard truth. And now that it's morning and I've had lots of water and caffeine and aspirin, I can react properly. Whew. That's off my chest. Thanks to blogger extraordinare, Jordan Baker, I am able to fill in what I missed last night. Thanks, lady, for getting your recap up so early in the morning! MWAH! But no thanks and giant raspberries to Bravo, who hasn't bothered putting up screen shots from the episode for the second week in a row. The previews offered very little in the way of usable images, so this recap will be imageless. Sorry. Let's get down to the nitty gritty. The moment everyone has been anticipating for the last umpty-three weeks: the reveal of the winner of Last Chance Kitchen. It was down to last week's eliminee, Grayson, versus the much-reviled Beverly. And you know how that had to turn out - Beverly won the final LCK challenge and is once again in the competition, turning what was for about 12 hours the "Final Four" back into the "Final Five." Now that that messy bit of business is over, it's time for the Quickfire. The cheftestants have to use all of their senses to create a dish while blindfolded....even while picking their ingredients. And they have to use all of the ingredients they put in their baskets. Kinda like a DIY Chopped, but without douchebag Scott Conant, his perfectly-groomed stubble, and his hatred of raw red onion. The winner of the challenge gets a choice between a brand new Prius V or a guaranteed spot in the final Final Four. You know, I've seen so many commercials for those damn Priuses (Prii?) that it is now officially on my list of "Wouldn't Buy if It Were the Last Automobile on Earth," along with anything the hosts of Top Gear call a "Supah-Cah." Ed and Sarah make the best dishes of the five, but the win goes to...Sarah. And she's not stupid--she doesn't want a damn Prius, either--she takes the guaranteed spot in the finale as her prize. For the Elimination Challenge, it's announced that people who had "a small hand" in their careers are coming - their mentors. Paul cries at the sight of Tyson Cole. Lindsay cries at the sight of Michelle Bernstein. Sarah cries at the sight of former Top Chef Masters' competitor Tony Mantuano. Bev cries at the sight of Sarah Stegner. But Ed's a tough guy and doesn't cry when he sees Frank Crispo, who is pretty scary-looking and would probably make me weep a little. A thought: don't be surprised to see Stegner, Cole, and Crispo on a future season of Top Chef Masters. The chefs have to make a meal that will impress their mentors. They have 2.5 hours to prep and another hour to finish cooking at the Hotel Valencia; the winner of the challenge will get Sarah's unwanted Prius V. The chefs have $500 to shop; four of the five of them head out while Sarah hits the bar with Mantuano. Ed has it in his head that he wants to use oysters in his dish, can't find fresh ones, so buys canned ones. Thank goodness I didn't see this part because I would have been screaming at the TV at that point. While Ed can make sauerkraut soup taste fantastic, I have doubts that he could work any kind of magic on canned smoked oysters. He may as well have picked up a can of SPAM. The next day, there's a flurry of cooking. Ed is using those damn oysters. Beverly is woking her dish, which is quite a challenge when you're serving eight people. Lindsay second-guesses her decision to emulsify her seafood stew with cream. Paul is making a soup. Soup. A cold soup. And Sarah is somewhere sleeping off a tequila hangover. The judges for this challenge are the four mentors, Padma, Tom, Gail, and Hughnibrow. Bev serves her Singapore noodles with shrimp first, and gets praise. Lindsay's seafood stew has perfectly cooked proteins but doesn't need that cream. Paul's sunchoke and dashi soup is well balanced. Ed's pork belly is amazing, but his smoked oyster sauce makes Tom make a face. And when Tom is unhappy, well, you know the outcome. Bev and Paul are the top scorers in this challenge, both guaranteed a spot in the finale. Paul's dish is the favorite and he wins the sponsormobile. Good thing he won all of that cash earlier in the competition, because he'll need it to pay his income taxes. That leaves Ed and Lindsay to face elimination. Unfortunately, Ed's use of smoked oysters was a more grievous error than Lindsay's use of cream, and he gets sent home. NOOOOOOOOOOOOOOOOOOOOOOOOOOOOOOOOOOOOOOOOOOOOOOOOOOOOOOOOOOOOOOOOOOOOOOOOOOOOOOOOOOOOOOOOOOOOOOOOOOOOOOOOOOOOOOOObreathebreathebreathe!!!! Not Ed! I has a serious sad right now. 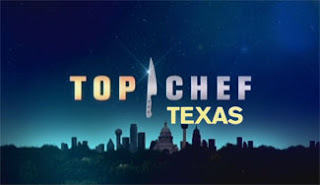 I think he really deserved to be in the finale, and not just because he was my favorite chef in the competition. Now it's up to Paul to win this thing for me. I'd be ok with Bev winning, too, but I don't like Sarah or Lindsay, which means one of them will win. Next week: Finale in British Columbia! It's cold!